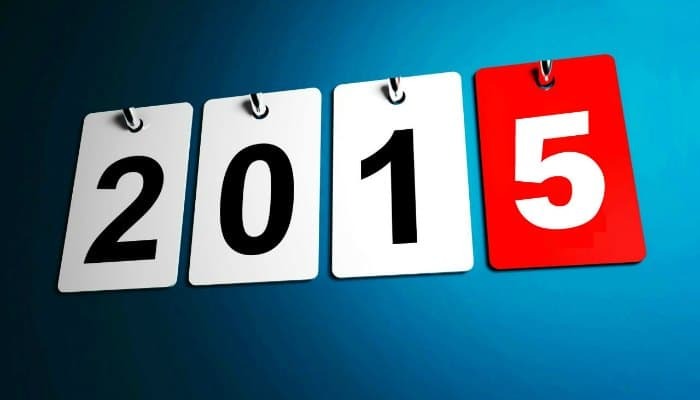 As 2014 comes to a close, I want to thank all the readers who used this blog to better their performances on and off the track. Sure, we all want to become the next Usain Bolt, or make a professional living off Track and Field as a coach or athlete. But realistically, only a handful of you will make a real living in Athletics. Thus the real value from this sport will transfer to other parts of your life. Doug Logan – The ever consistent and sometimes controversial former USATF CEO has a lot to say about Track as well as Life experiences which may not be Track related. Today, Doug is an Adjunct Professor of Sports Management, at New York University. Lee Ness – Author of the Sports Motivation Masterplan. You can Buy it on Amazon USA or Buy it on Amazon UK. Travis Hansen – Author of The Speed Encyclopedia. He is currently the Director of The Reno Speed School inside the South Reno Athletic Club. Stevie Gee – a personal trainer, fitness coach and a GB Master Athlete at 400m. On top of his research articles are two great inspirational stories on GB Master sprinters Rick Beardsell and Michelle Thomas. Adarian Barr – Assistant Track Coach, Jump/Hurdles/Multi-events at the University of North Carolina in Pembroke. His articles and videos are only controversial for those who are not open to new ideas that may or may not work for you. Mike Hurst – The retired Journalist and Coach provided great podcasts this year including performance coach Henk Kraaijenhof, Lashawn Merritt, David Oliver, Mike Agostini (former WR & Worlds Fastest Man) and Peter Fortune (Cathy Freeman’s coach). Mike coached Australian sprinters to qualify for five consecutive Olympic Games (1980 Moscow to 1996 Atlanta). Two of his protégés, Maree Holland and Darren Clark, set Australian records and were 400m finalists at the 1988 Seoul Olympics. Pierre-Jean Vazel – The other famous (current) Journalist and Coach, who coached two 2 sprinters under 10.00 seconds… Nigeria’s Olusoji Fasuba 9.85 100m and France’s Ronald Pognon 9.99 100m. Paul Hoffman – He reads several research papers on sprinting and performance articles so you don’t have to. His series is titled Sprinting: 10 Research Articles for Effective Sprint Training. Larry Jusdanis – the owner of Sports Specific Training (SST), the #1 rated speed program in Canada. If you live in Eastern Canada, or Northeast USA, be sure to visit his facility if you want results. Larry was the first Canadian quarterback to start in a Canadian Football League game in the last 25 years. Fabien Ngô – a sprint coach in Brussels and Montreal coaching primarily teenagers and Masters age groups, who also holds a Ph.D.
Joel Smith – author of the new book Vertical Foundations. Joel is also an Assistant Strength Coach of Olympic Sports at the University of California, Berkeley. Jon George – He is the Assistant Cross Country/Track Coach at Fort Hays State University. Mike Goss – He is a Level II USATF coach in jumps, throws, and combined events. Mike is also in the Coaches Advisory for USATF-GA.
Ryan Banta – an assistant coach at the Ladue/St. Louis Lightning Track & Field club. He has a new book coming out titled The Sprinter’s Compendium, a “one stop shop” for theory and practical information for any coach looking for real world strategies to improve sprint training… for any type of athlete. Stay tuned for the release date! Mat Herold – He is a former D-1 soccer player and certified strength and conditioning coach with a Masters of Science degree in Exercise Physiology. Visit his website for his latest books at www.empoweredathletes.com. Dr. Allan Tissenbaum – an Orthopaedic Surgeon based in Pittsburgh, PA, specializing in both Surgery and Sports Medicine. Outside of work, he is a top ranked Masters Sprinter winning several National titles in the M50 category and prior years. He has run 11.07 in the M45 100m and 11.42 in M50. Not too shabby! Dr. Vassilios McInnes Spathopoulos – Dr. Spathopoulos is a University lecturer and author of An Introduction to the Physics of Sports . Eric Broadbent – He is a certified USA Track and Field Level 2 Coach, Certified Strength & Conditioning Specialist (CSCS), holds USTFCCCA Track & Field Technical Certification, and a USA Weightlifting Sport Performance Coach. Shon Grosse – He is a physical therapist, athletic trainer and performance coach at www.shongrosse.com. 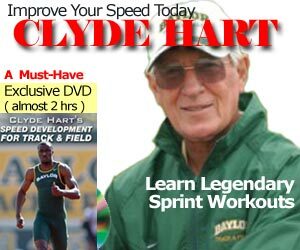 Be sure to watch SpeedEndurance TV: History of Spikes, from Jesse Owens to Usain Bolt. READ Hamstring Strains and Training Camp: What’s the Connection?